Pay per month for what you use, no strings attached, saving you money, time and headaches. Takes away the hurdles of complexity and costs associated with the addition and use of a PSA solution. Allowing you to scale for growth and optimise your service delivery and profitability. Ready-to-use dashboards give you a real-time insight into the performance of your company. 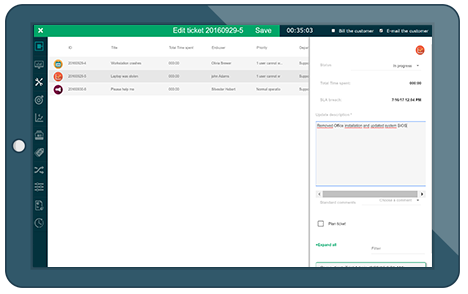 Generate all your service, product and billable hours invoices accurately. 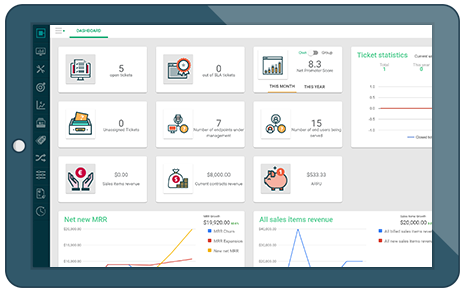 Our PSA gives insight into your customers, contacts, tasks and tickets. SaaS platform accessible from any browser keep on top of your operations anywhere you go. Our ticketing is built to assure quick and effective handling of support questions. 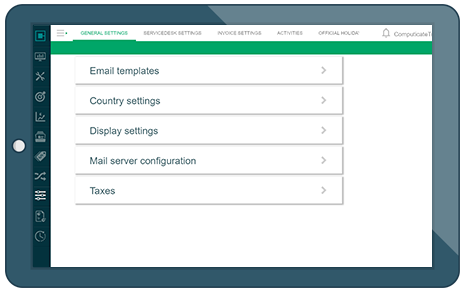 Integrates with your existing managed services tools, e-mail platform and back-up system. Track all time spent on customers and match these with contractual agreements. Computicate is the complete integrated Business Management tool and PSA solution that gives you full control over your Managed Service operation. The Computicate PSA solution helps you ensure that your clients get the service they pay for.